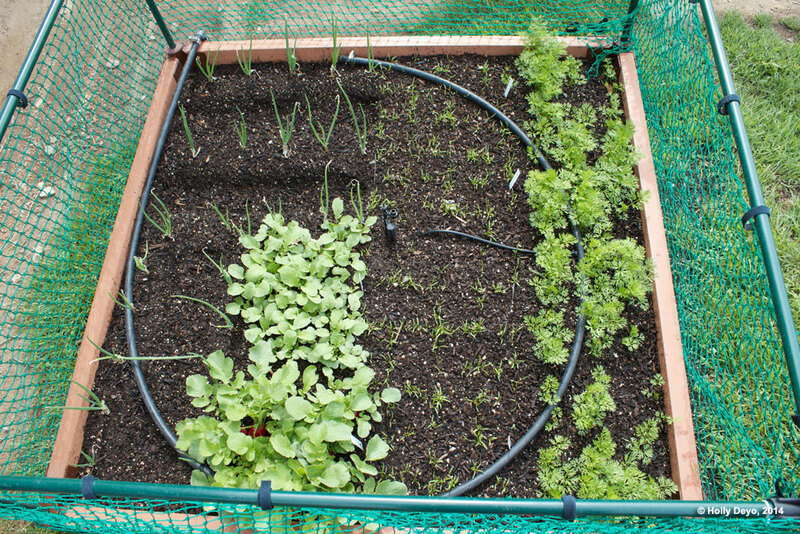 Part 3: Garden Like Your Life Depends on It! What THE HECK? We weren't ever supposed to see this stuff here. CDC promised… Just like too many other government promises spoken and broken. Lies, damned lies. In earlier articles this year I addressed about the benefits of having a garden from it being a wall against GMO foods and poor nutrition, to fattening your wallet, to protecting against what the astute know is coming. In 6 short months, whoever thought we'd be worried about consequences of Ebola hemorrhagic fever in America! This could be a nightmare-come-real  a true story of the walking dead. In the past 3 weeks, we've heard the gamut of talk show guests ranging from the too-calm simpletons to the head-spinning neurotics on this topic. It's clever to be somewhere in between. Not gullible as the CDC and government would wish, but not performing mental terror gymnastics. The fact that Dallas clean-up crews hosed off ebola-ridden vomit WITHOUT PROTECTION does nothing for our comfort zone. Where are the guidelines for these folks? How many people have come in contact  knowingly and unknowingly  with plague-contaminated body fluids and are therefore capable of catching and passing on this often fatal virus? The fact that now nearly deceased Thomas Eric Duncan lied his way into this Country saying he'd had no contact with any ebola-sick people and then got on a plane is alarming. He exposed between 50 and 100 people to this body-destroying disease, depending on which news agency you choose to believe. Fact Two: We don't have a porous border, we have an OPEN border. Any ill person or terrorist can stroll across our southern realms without fear of consequence. Obama says 'don't prosecute' the first offense. It only takes a Muslim extremist one go, to pull the rip cord on a chest-full of C4 and a whole lot of heartache ensues. Now think about that a-symptomatic individual that is death on 2 legs scuttling across the border. He or she smiles, makes nice, drinks and dines in large public arenas, maybe goes to a Cowboys football game coming in contact with thousands of people, maybe he attends a mega-church like Amarillo's Hillside Christian Church, Austin's Stone Community Church, Carrollton's Covenant Church, Houston's Second Baptist Church, Dallas' Potter's House or El Paso's Abundant Living Faith Center or Grapevine's Fellowship Church that over 24,000 members or Joel Osteen's Second Baptist Church that caters to over 43,000 congregants (the list doesn't stop here: check this site for mega-churches) or shopping at Houston's Galleria, the largest mall in Texas. I'm not picking on Constitution-adhering Texas, but they have a huge border with Mexico that Gov. Perry is doing his best to defend despite Obama's countermeasures. It is a monumental ask-task. An exposed person has up to 3 weeks before they become symptomatic, sometimes a lot shorter. Though he or she isn't contagious when not experiencing symptoms, they can scout out a whale of a lot of territory and make it their #1 priority to hit those targets when spewing the deadly virus. It's often the unseen that's most unnerving. Where is it coming from? Is 'it' here already? Has my family been exposed? Am I already sick and don't know it? This is yet another reason to have a garden. If you've never grown food, now really is the time to get going. Only a small bit of space is needed. For those in the Northern Hemisphere, without a greenhouse, the growing season is nearly at an end. However, you can and should get a jump for next spring. Prepare the beds now and be ready for early planting. Gardening is pretty easy, if you know what to do; it's just not foolproof. Like all skills, it requires knowledge and experience. By spring, who knows where we'll be with ebola and other such dread diseases. 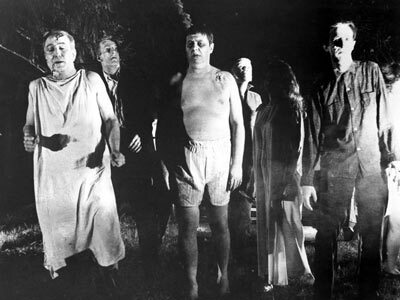 If quarantines or martial law are in place, you need to have a continuous supply of fresh food without exposing yourself. Having your own garden is the answer. Reuters announced Marburg has just broken out in Uganda. Is that coming here too? If you don't know that we are seriously in End Times, please give me some of what you're inhaling. Never ever have we seen a time such as this. After nearly two decades of warning people to get prepared, it is our hope you have taken it to heart. Sometimes there is ample warning to prepare like say for a financial collapse. Other disasters like a tornado or earthquake descend like Thor's hammer with no notice. This is somewhere in between. There may not be a lot of time, there is some time to ready your household for possible quarantining. Governments the world over will continue to obfuscate  lie. No one wants to see economic markets impacted. For example, in 1995-96 New Zealand did not want to warn its citizens and therefore didn't about Ruapehu's coming eruption. They wanted to keep tourist dollars flowing and people were literally skiing down Ruapehu's slopes when it began spewing ash. That event could have killed 'only' a few hundred people. Can you imagine what it would do to world economies if people stopped shopping, halted buying, hunkered down? 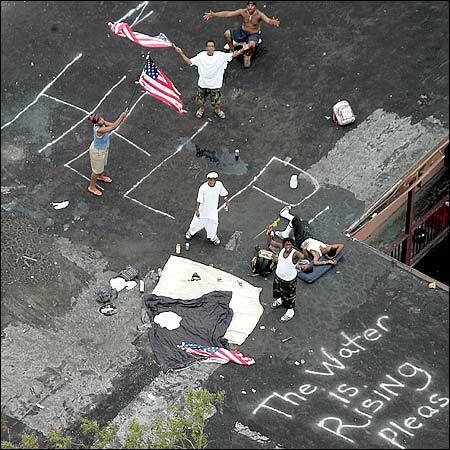 Photo: Katrina victims on their rooftops, begging for rescue. Where was FEMA? I am convinced we will not be told just how bad it is. This is why it is more incumbent than ever to have at least 6 months of food, water, meds and other supplies on hand. Don't forget your pets or your heart will break harder that you forgot these mighty, happy forces in our lives. Please make use of my free website of emergency preparedness information. It costs you nothing outside of download time and some study. We are no longer in 'what-if' times. We have a real and present danger operating our Country. Don't give into fear. Rise above, rise to readiness. Be prepared. It's your best defense. Know that government will NOT come to your aid till too late, if at all. Reference Michael Brown of Katrina infamy and Sandy Hook  Obama's blame. Two recent time examples of how we are left to fend for ourselves. Then FEMA head Michael Brown worried about his wardrobe and his Arabian horses, not about Americans. Over 1,800 people died. That still makes my head spin! What a self-serving pig! This is not about politics. Fall-down resides on both sides of the political divide and you'll be safe in neither. Maybe nothing says it better than this: Poster Hummingbird writes: "A few years ago, I meet a woman who had finally relocated to Colorado. She was suffering from stage 4 breast cancer and was about to become homeless again. I helped her by taking her to the Parker Task Force, where I knew people there who could turn her power back on, help her with rent, food and keep her in her home. It was during this that she admitted to me that she lost two of her children. 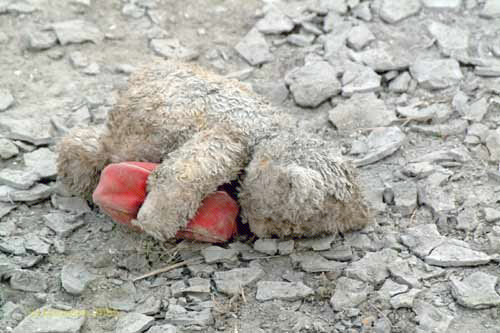 That they had drown (sic) when the water came in to the lower 9th Ward (New Orleans during Hurricane Katrina). She and her neighbor had wrapped their little bodies and tucked both of them in the attic of her home while she waited for help. It took 3 days before she and her neighbors were plucked off their roof. She had to leave her dead children behind. "I could see the pain in her eyes and the deep sorrow that she carried. She asked me if I thought God was punishing her? I looked at her and told her I didn't think that was the way God worked. This time of year brings back terrible nightmares for her. "There is not a day I don't think of my kids." So I ask again, where the hell was FEMA? Wait on them or other government agencies and sign your death certificate  and those of your family. "What is that racket?" Stan hollered upstairs good-naturedly. "What? Oh, that's my fingernails scraping the boards of fading summer." I replied. "You know I resist every bit of being dragged into winter." Not only does it mean bundling up in a ton of clothes, not smelling bright fragrant flowers or seeing hummers at the feeder, picnicking, or wandering out to the mailbox barefoot, but it's the end of veggie gardens for most of us. The thought of eating store-bought cardboard tomatoes or tasteless pulpy melons makes one go "patoui!" This year like many years lately, weather has been and is screwy. And it's only getting more so. Less predictable. Mums that should have flowered in fall, started blooming in June and they're still going. 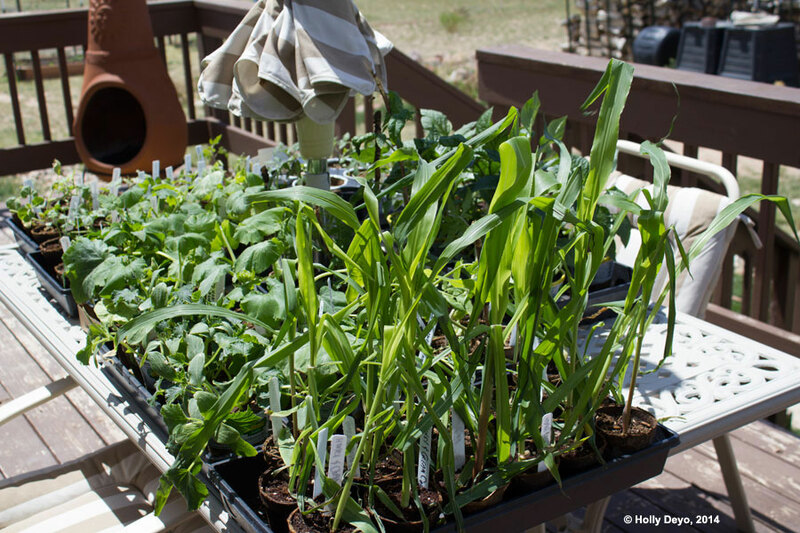 Normally in our area of southern Colorado, it's safe to plant a garden and bedding flowers by Mother's Day. However, May 13 dealt an unexpected, low blow  literally  with temperatures sinking to a crop-destroying, miserable 26ºF (-3ºC). Without protection, even peas protest these uncivilized growing conditions. It had warmed up so quickly this year that fruit trees flowered early. Even this stray spinach thought it was safe and seeded himself outside the raised bed. Eight red lettuces had likewise planted themselves 10 feet into the river rock and looked for a home. 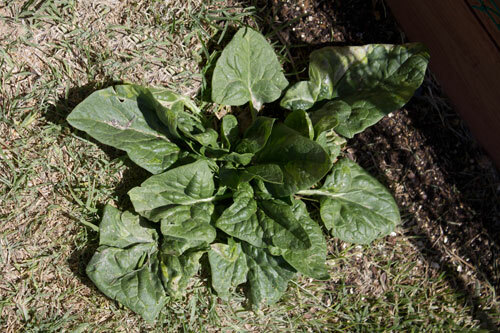 Photo: A spinach seed from last year 'escaped' and grew, unwatered, in native grass just outside a raised bed. Everything and everyone thought summer was just a breath away. Everyone except Old Man Winter. When we heard the forecast for the next night, it meant scurry hurry to set up serious frost protection. We had started a bunch of seedlings 6 weeks before. They were itching to stretch their roots and were already in the ground. Uh-oh. In the images below, seedlings were being hardened off prior to planting. Photo: 90% of these plants we grew from non-hybrid seed. However, we make exceptions for Solar Fire tomatoes. In desert-like conditions, you can't beat this variety developed by the University of Florida in 2004. While many tomato plants drop blossoms when temps hit 90ºF (32ºC), these guys just keep pumping out more and more tomatoes. Besides being heat-tolerant, they are also disease- and crack-resistant. Bonnie has made them available for at least the past 3 years  in 4-inch pots  but you can buy 30 seeds for the price of a single Bonnie plant. Since they defeat some normal tomato issues, seeds are in short supply. Especially as weather becomes more unpredictable, they enjoy some very desirable characteristics. You can buy them here, here and here as well as other locations. Just do a search; some retailers have sold out. Of the three, at Harris Seed you get the best price of 9 cents a seed. We put the rest in our seed bank. See Start Your Own Seed Bank: How to Beat the Food Killers at Their Own Game  Part 2. Became these snug beds with heaters and frost cloths. Doesn't it just look like camping out for plants? 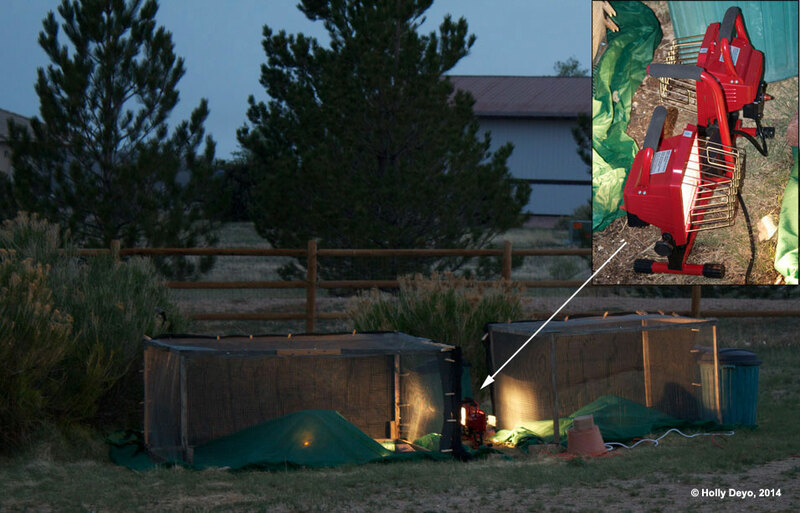 Stan bought inexpensive 500-watt work lights and placed them between the two covered gardens for extra warmth. Underneath we lit a single light bulb and away from double layers of frost cloth so there was no fire danger. Frost protection cloth is nothing more than green-colored landscape fabric. 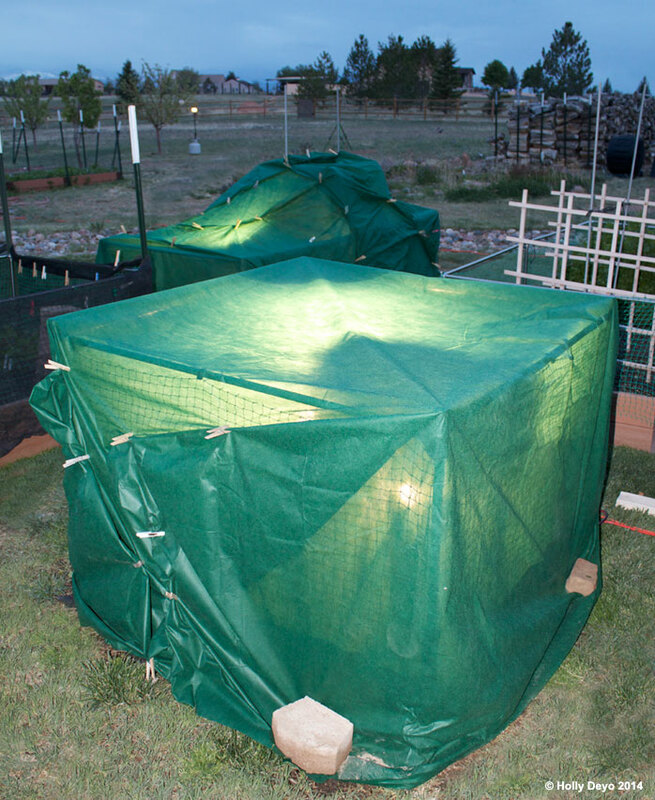 In a light freeze of no more then 32ºF, a single layer will protect the seedlings, but down to a hard frost of 28ºF, a double layer is necessary  PLUS a heat source. It's not just the double layer that protects, warmth needs to be added. Simple incandescent bulbs  those lovely lights that Obama's administration has done its best to eliminate, produce enough heat to provide life-sustaining warmth. For the rest of the planted veggies except the hardiest like carrots, onions, peas, lettuces, they too, were covered with double layers of frost blankets and incandescent lights. You can use both year after year. 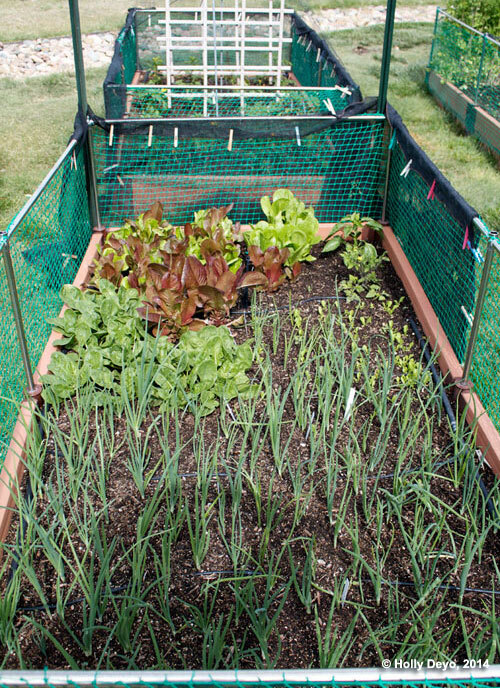 Make sure to put a pole or stick in the middle of the raised bed to make a tent so the fabric doesn't sit on the bulb. 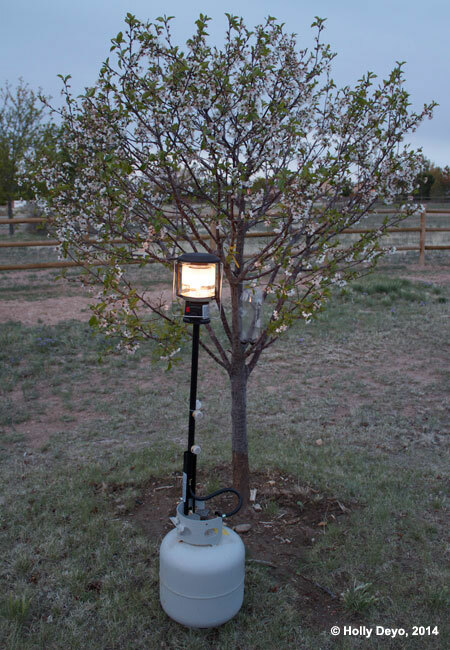 For fruit trees, Stan erected individual propane-powered heaters or shop lights for fragile fruit trees. Cherry left, plum right. Photo: These are the two smallest trees in the orchard: a Monserrat Cherry and a Stanley Plum. The cherry had just put out her beautiful pink blossoms so she was already dressed for spring and this little plum did his best producing flowers mostly on the south side. Other fruit trees had already dropped their flowers and replaced them with the promise of tiny fruit. 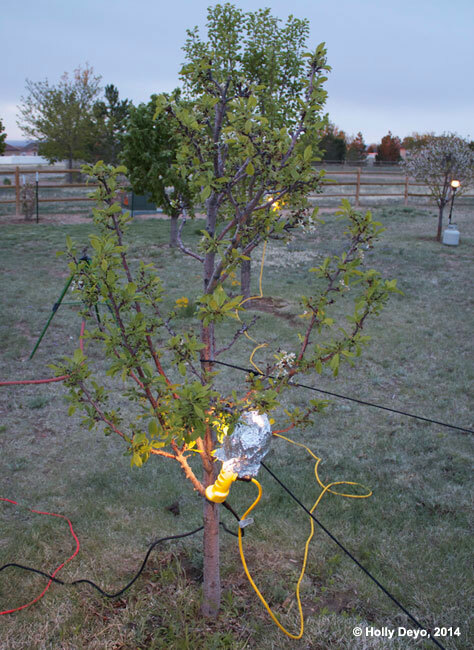 All 15 fruit trees  apple, plum, pear, peach and cherry  were now at risk from an unplanned killing frost. Here's the reward… crops growing early and in the case of autumn, their lives are extended to give you extra weeks of luscious, healthy, money-saving produce. 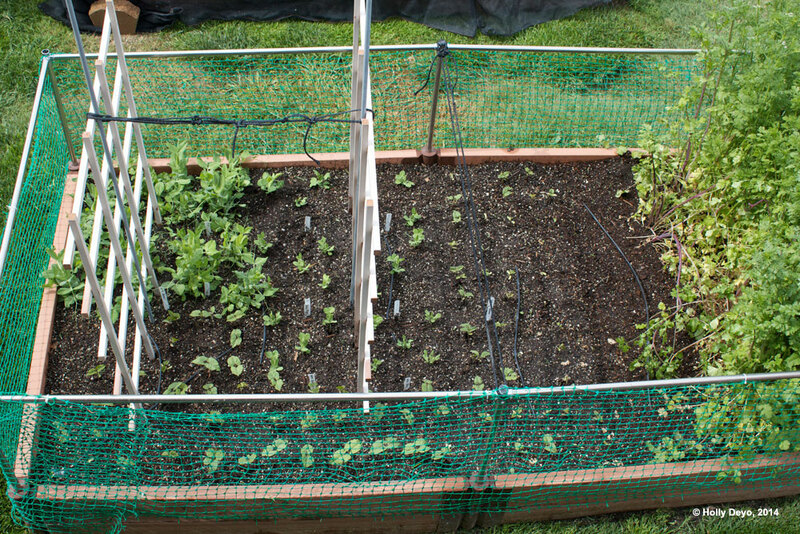 Look how happy are the radishes, carrots, onions, beans, peas, cilantro and lettuces (last image below right). 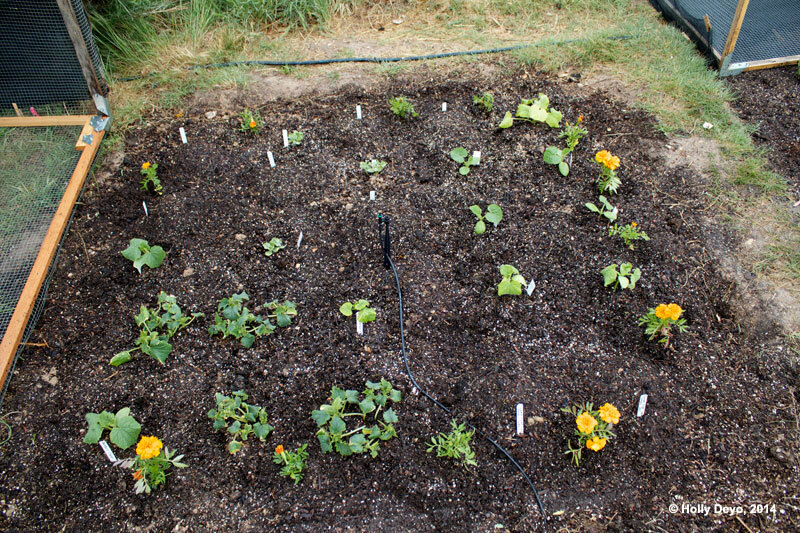 I didn't photograph all the raised beds as there are now 4  4x8's, 3  4x4's and the two odd-shaped melon-squash beds. You get the point. Everything survived and grew like wildfire supplying us for nearly 9 months with lovely, healthy veggies nearly cost-free. Who can beat that? Especially in these cautious times, growing your own food is a necessary money and health saver. Photo: The seeming bare patch just to the left of the cilantro (far right) was planted with more beans that hadn't yet germinated. Since planting cilantro 4 years ago, it keeps reseeding itself and threatens to take over. It looks a little unhappy here as at least a foot of it had been yanked out to make room for more beans. Some plants, even ones you like, can get invasive and need a haircut. 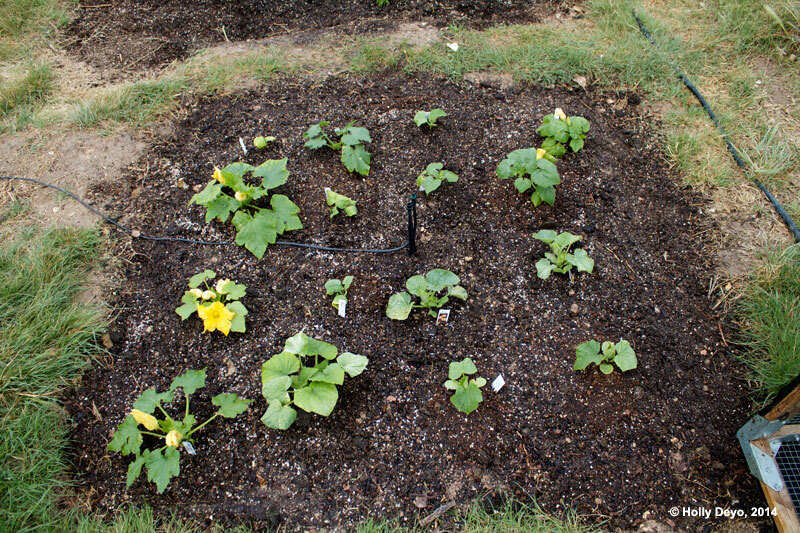 Now a bit about those hastily done melon and squash patches… Yes, they aren't beautiful, but as explained in my April 3rd article, Garden Like Your Life Depends on It!, these areas that used to hold 47 asparagus plants were dug up in favor of other veggies. The asparagus never did well. They needed more water as they grow wild down by the Arkansas River just 30 minutes away. Even though the 47 plants produced asparagus, they never provided enough at the same time. Together plants grew 5 stalks on Friday, 12 on Monday, 3 on Tuesday and so on. No, they gotta go. Aaargh! They didn't want to! When it came time to dig them out, they got their revenge and nearly had to be dynamited out of the ground. In four years they competed with bindweed for sending roots to China and holding on. They were a royal pain to dig out even when 'encouraging' them to leave town with a slide hammer. We brought ours back from Australia and this author is not sure what they're called here. When you enter 'slide hammer' in a search engine, it coughs back a little hand tool that's not the same thing as our nearly 4-foot long hand operated jackhammer. If you find them here, the 'diamond point' end works best for ground-breaking rather than the chisel or tamper styles. What's pictured here is a chisel-end. 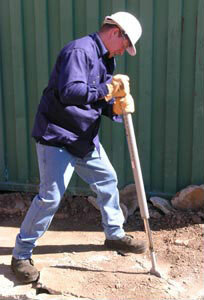 They are miracle workers for digging out any stubborn plant or breaking up concrete-like dirt. So these beds were hastily dug out and filled with Garden Gold's rich Super Soil, for additional organic growing areas  as are all of our raised beds. The native grama grass needs to be cut back and this fall they'll be properly done. 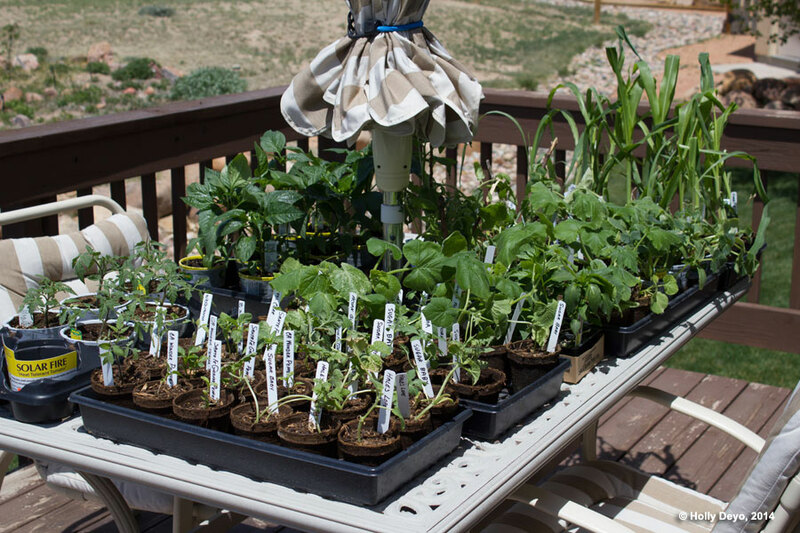 Garden like your life depends on it. It may.